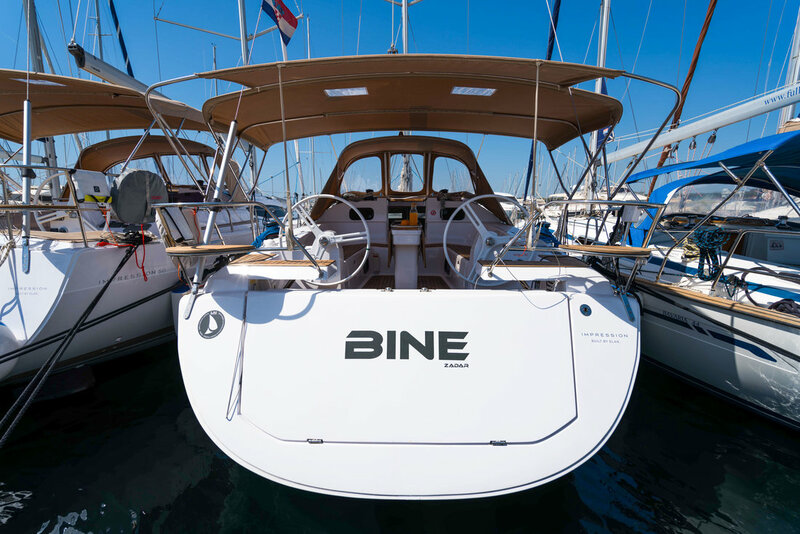 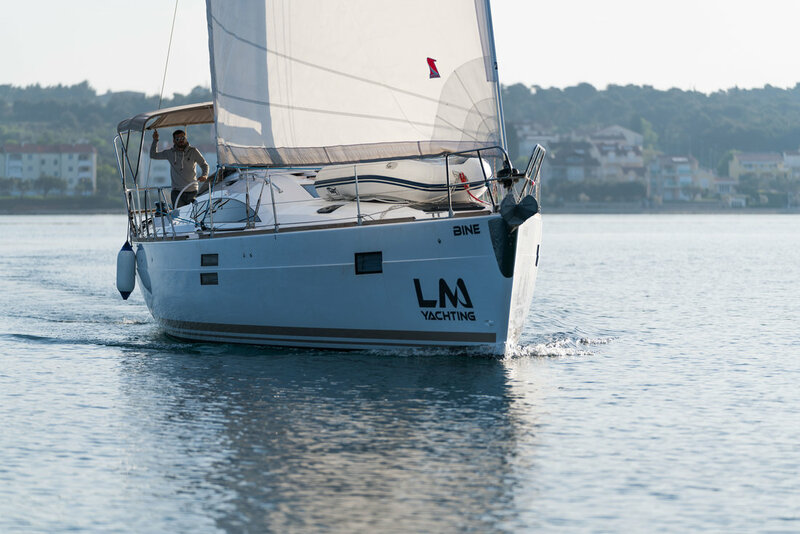 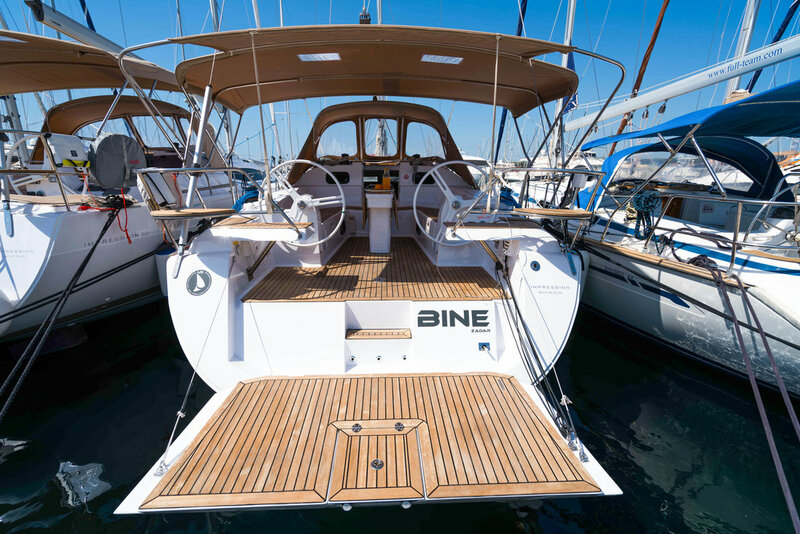 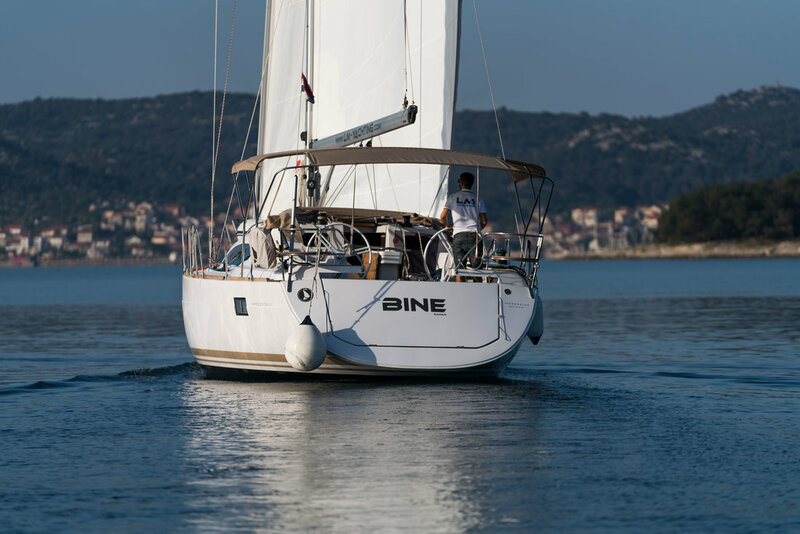 Charter this beautiful Elan Impression 45 from Marina Kornati, Biograd. 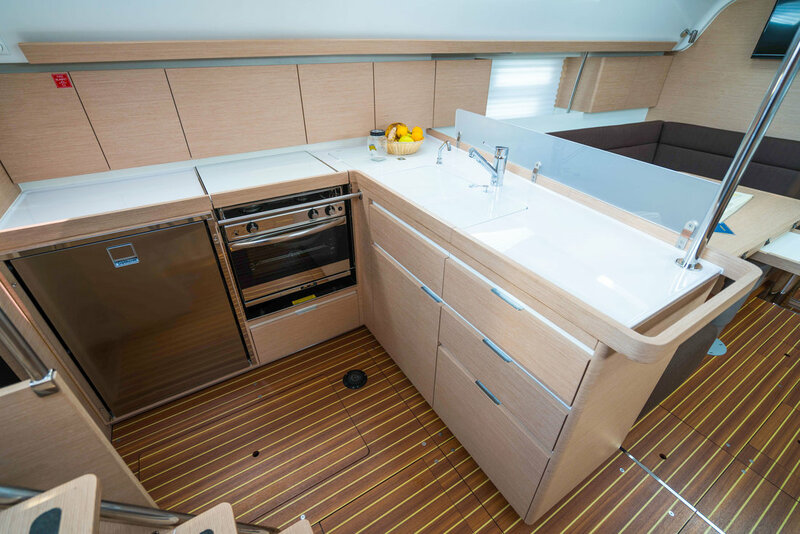 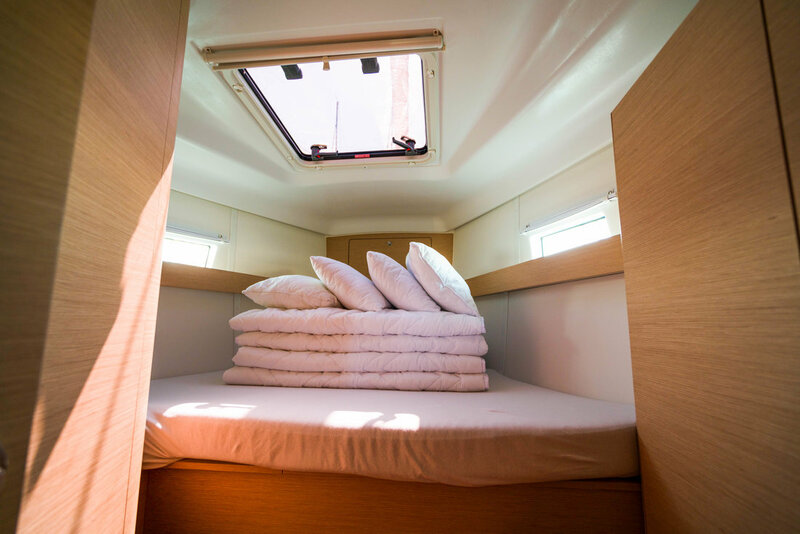 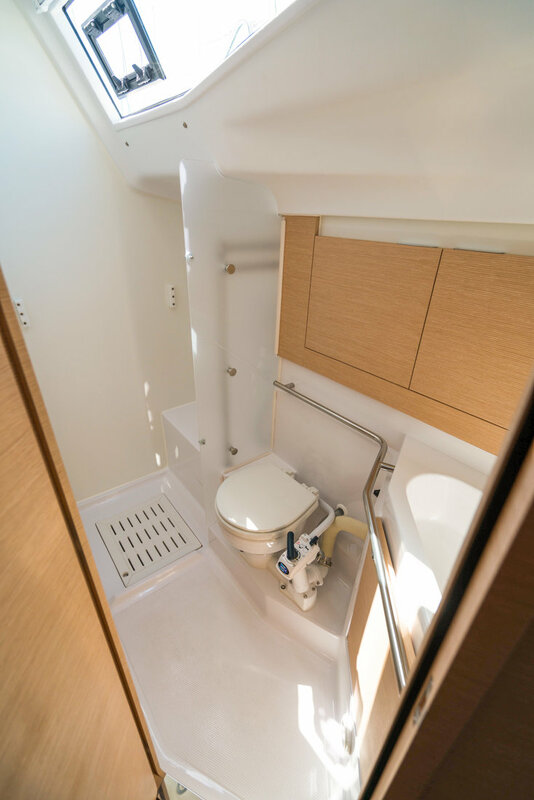 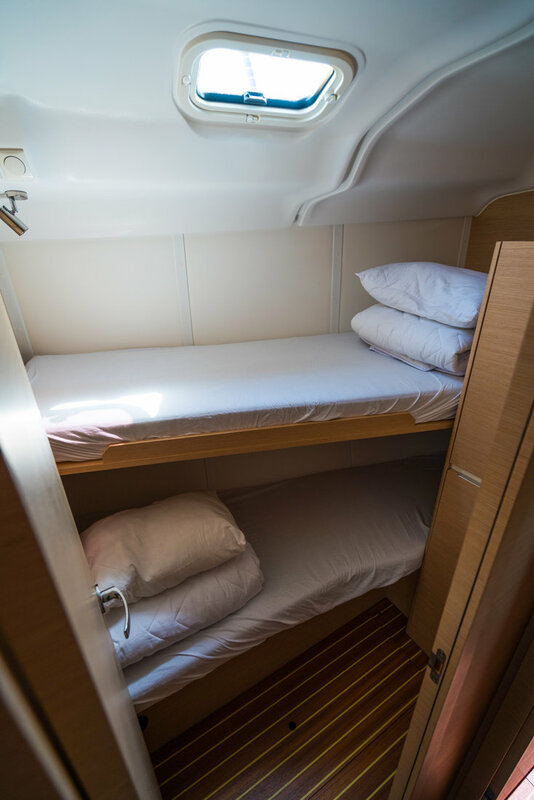 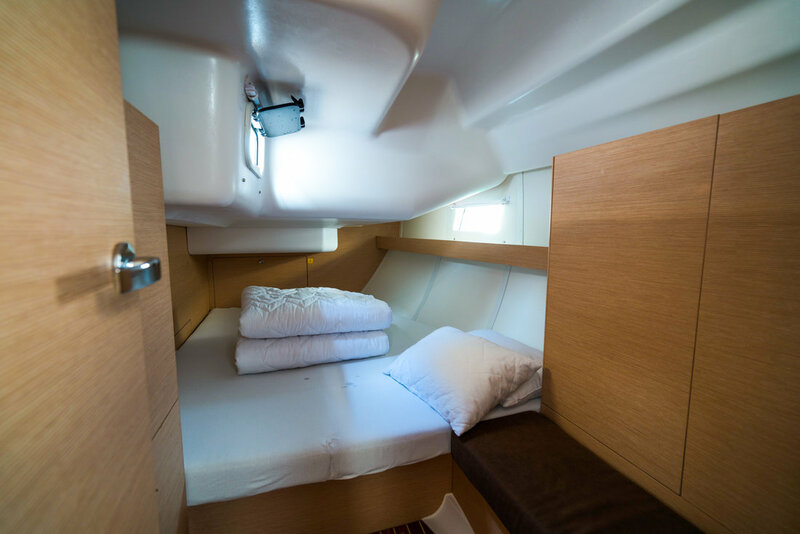 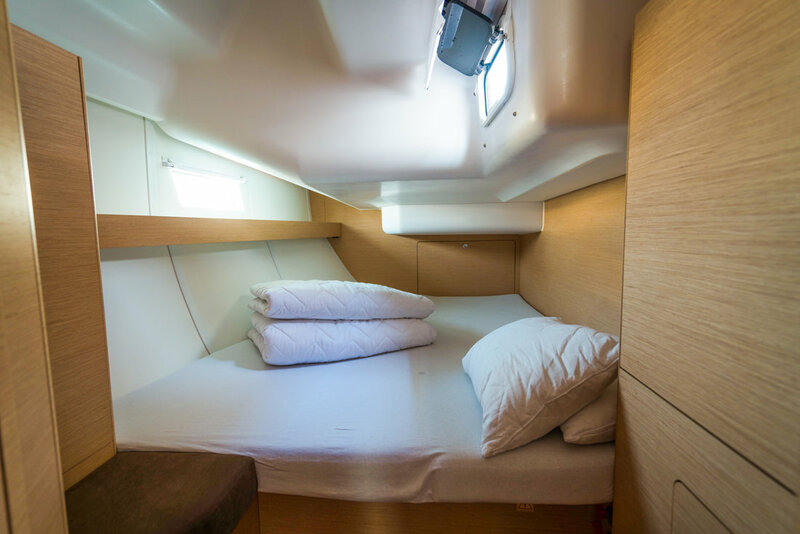 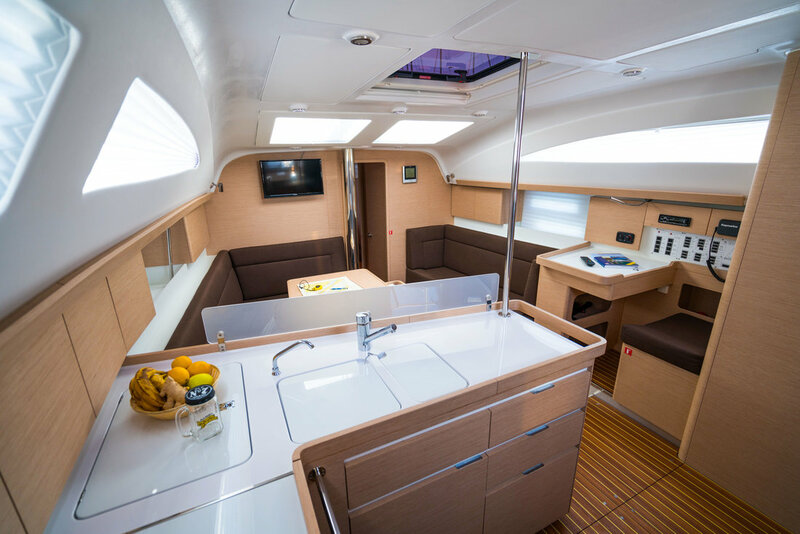 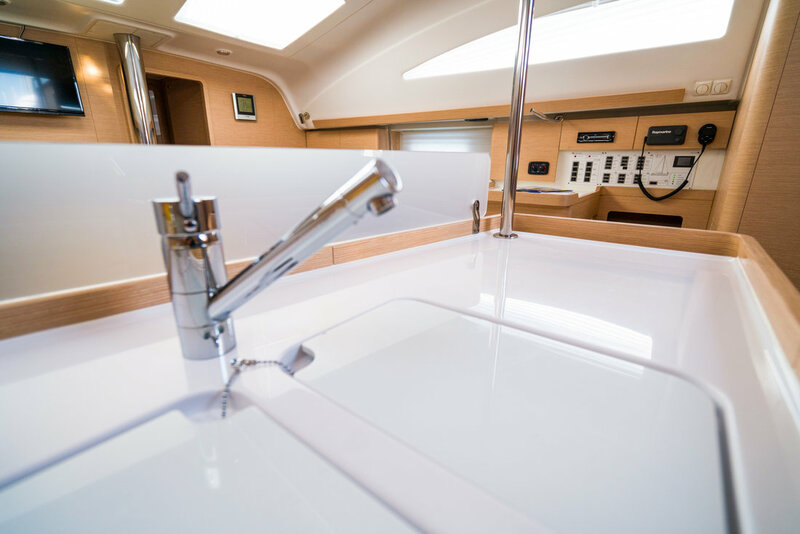 The Impression 45 offers a bright and airy interior thanks to it’s hull and Deck Saloon windows. 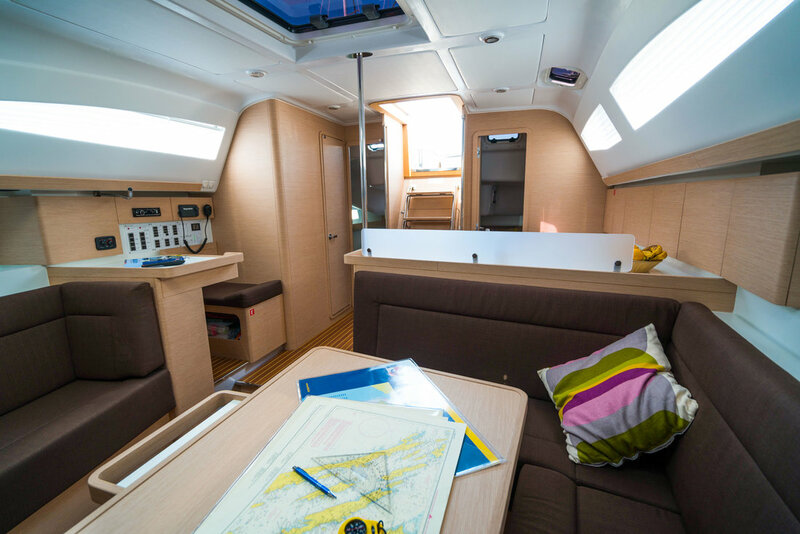 Every detail ensures an enjoyable and safe journey, from the spacious open cockpit with its large seating area all around the cockpit table, to the wide passage way forward where plenty of space for sunbathing awaits. 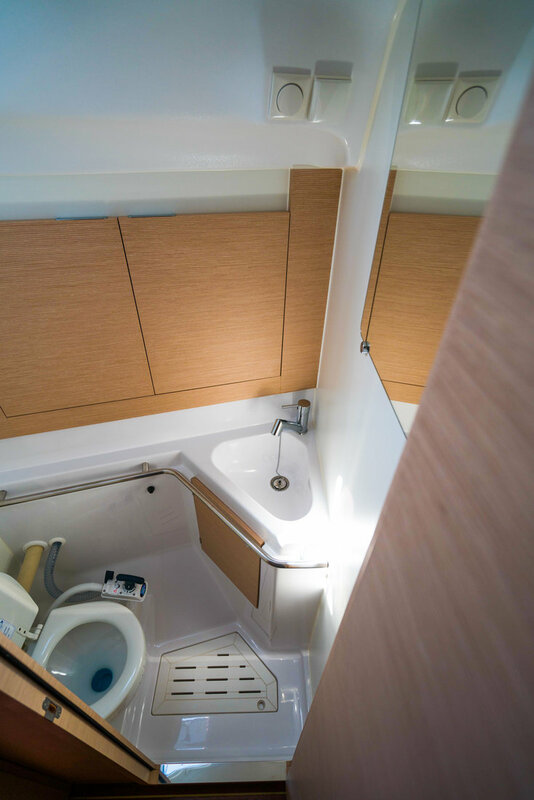 Twin wheels offer excellent steering positions for the helmsman while the wide transom ensures easy access to the bathing platform.